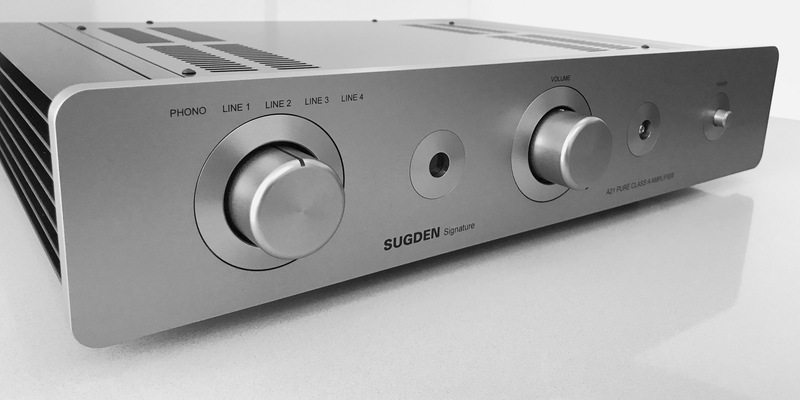 The Sugden A21a Pure Class ‘A’ Integrated Amplifier has a lineage stretching back over 50 years. In 1967 James Edward Sugden designed and produced the worlds first commercially available solid state pure Class ‘A’ amplifier the A21. The initial A21 was sold under the Richard Allan brand name, which had an established quality line of loudspeakers. However, in 1967 the A21 was also marketed under the Sugden brand name – JES (short for James Edward Sugden). The A21 was for the audiophile the first experience of high fidelity music reproduction in the home. The latest version, the A21a Signature was released in 2015. Its origins are the A21 (1967) followed by the A21a series which started production in 1989. The original A21a model was in production between 1989 to 2000, a facelift version between 2000 to 2007, and the A21a Series 2 between 2007 and 2015. The A21a Series 2 featured the following upgrades: heavier chassis and strengthened case, 10mm thick aluminium front panel, remote volume control and beefier power supply. At the same time the mono and tape loop switching and the balance control were deleted enabling improvements to the pre-amplifier circuit by shortening signal paths. While the A21a has a legendary heritage it also maintains hand made craftsmanship rare in the current automated and mass-produced manufacturing settings. The A21a Signature continues to be hand made and individually tested. Sugden manufacture in-house the metal cases, assemblies, knobs and parts and carry out the finishing processes, including screen-printing. The A21a Signature’s pure class ‘A’ design provides affordable high-end performance from a beautifully engineered single box integrated amplifier. Compact in size with a simple but stylish design, the A21a Signature is possibly the only amplifier you will ever need. With many of the original A21’s still in daily use after fifty years, it could also last a life time. The A21a Signature provides a large soundstage and depth to all types of music, importantly you can listen to it for hours without fatigue. The single ended circuit provides impressive dynamics and incredible bass.